The Castoff Band's music can be deeply soothing, profoundly contemplative, toe-tapping, or any combination of these. We do traditional Native American style flute & drum, instrumental period folk and instrumental bluegrass music. Along with the music, performances can include (at no extra charge) any combination of Native American stories and lore, American historical stories and lore, and the history and significance of the various instruments. We've even been known to sneak in some native instruments from around the world. Mix or match the musical styles. 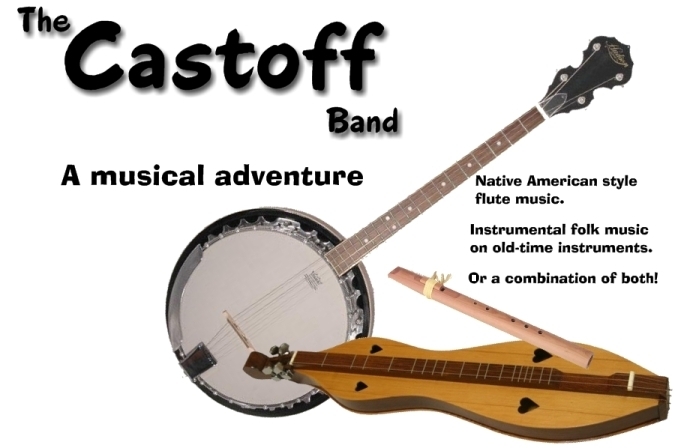 The Castoff Band is always a musical adventure! Have you been "Targeted" by The Castoff Band?